Please note that his site is now inactive.
) On 22nd January at 4:45 pm a man was attacked and knocked unconscious in Norwood Road outside Bandido's Mexican Restaurant following an argument between two drivers. The argument followed a minor collision between their vehicles. Norwood Road was sealed off by police immediately afterwards. The victim has regained consciousness but has sustained serious injuries. A suspect has been arrested and is currently on police bail pending further enquiries. 2) At lunchtime on 23rd January a security guard was rugby tackled as he delivered cash boxes to Sainsbury's on Herne Hill. The suspect stole a cash box - which was empty - and ran away down Carver Road. PLEASE NOTE OUR NEW WEBSITE. Someone called this morning saying they had put a wrong postcode in an internet purchase and expected the package to arrive with us. Jane knew there was something fishy. When the package came later, it was addressed to her home address. The package was two mobile phones. The postman said there was a lot of this happening and he took them away to be sent back to the seller. Clearly the fraudster was going to get the phones and we were going to get the bills. He has just come back and I pretended they had not been delivered. I asked him for an address and number where I could contact him to tell him when they arrived and he got three mobile phones from his pocket and gave me a number (I presume he is not getting the bill for that one either) and an address. Would the police be interested? Lambeth Council and partners invite you to celebrate Peace on Lambeth's streets this Christmas. Please note that the next Dulwich Community Council will be taking place on Tuesday 11 November 2008 at 7pm at Herne Hill Baptist Church , Half Moon Lane , London SE24 9HU . A fresh & versitile trio of musicians present an exciting mixed programme specifically for this one concert. There is music to inspire & entertain, ranging from Classical & jazz to Tango & Folk music. Station behind Dog Kennel Hill. This is a round robin to all Village ward residents for whom I have email addresses. I do hope you will consider coming to the next meeting of the Dulwich Community Council which is on Tuesday 11 November at Herne Hill Baptist Church in Half Moon Lane . We start at 7pm and aim to finish soon after 9pm. As you probably know the Dulwich Community Council covers East Dulwich , College, and Village wards (the three most southerly wards in Southwark). But this meeting is especially focussed on Village Ward. Southwark Council is preparing a local area plan for each Community Council area. This will not be a formal planning document in the sense of being used for deciding planning applications - its ambit is intended to be wider, and looser, than that. The idea of the local area plan is to try to identify and record our aspirations for improving (or preserving) our local area. This meeting is an opportunity for you to influence what goes into our local area plan for Village ward. So, for instance, should the Council's priorities in Village ward be focussed on public realm issues, like traffic or parking, and if so what are we trying to achieve overall; or should the focus be on the local primary schools; or on social services provision; or on "greening" Village ward. There are no easy answers, and no doubt all these things have a place – but where should the balance lie? I do hope you will be able to come along. Southwark Council does not accept liability for loss or damage resulting from software viruses. The views expressed in this e-mail may be personal to the sender and should not be taken as necessarily representing those of Southwark Council. The information in this e-mail and any attached files is confidential and may be covered by legal and/or professional privilege or be subject to privacy legislation. It is intended solely for the individual or entity to which it is addressed. If you are not the intended recipient, the retaining, distribution or other use of any transmitted information is strictly prohibited. Monthly screenings of classic movies for film lovers young and old, followed by Q&A with film lecturer Graham Rinadli. Boisterous nightclub entertainer Buzzy Bellew was the witness to a murder committed by gangster Ten Grand Jackson. One night, two of Jackson 's thugs kill Buzzy and dump his body in the lake at Prospect Park , Brooklyn . Buzzy comes back as a ghost and summons his bookworm twin, Edwin Dingle, to Prospect Park so that he can help police nail Jackson . Buffalo presents a programme of short films especially for The Ritzy. An innovative and exciting collection of shorts from new and established filmmakers from UK and abroad. Incuding Q&A with filmmakers and prizes for the best film (voted by you), plus live performance, poetry and music. I.O.U.S.A boldly examines the rapidly growing American national debt and its consequences for US citizens. Burdened with an ever-expanding government and military, increased international competition, overextended entitlement programmes and debts to foreign countries that are becoming impossible to honour, America must mend its spendthrift ways or face an economic disaster of epic proportions. Tilda Swinton plays Julia, a 40 year old alcoholic just scraping through a life of vodka and one night stands. Her only friend Mitch, himself a recovering alcoholic, encourages her to attend an AA meeting after she loses her job. A chance meeting there with her Mexican neighbour Elena provides Julia with a potential way out. Elena suffers from psychosis, so her son Tommy is in the care of his rich grandfather following his father's death. Elena will pay Julia $50,000 if she will aid in his kidnap and ransom. Driven to the brink of ﬁnancial and emotional desperation, Julia must make a decision that will either pull her back, or push her over. MEETS HALF MOON LANE BAPTIST CHURCH 7PM 11TH NOVEMBER. MEET YOUR LOCAL SOUTHWARK COUNCILLORS. FIND OUT ABOUT THE DEVELOPMENT OF THE"L0CAL PLAN"
at COSTCUTTERS necessitating the closure of the premises on Wednesday 15h. Norwood Road HML Capital Improvement Grant. Thanks to Conservative Southwark Councillors who developed and supported a bid as a result of representation from Norwood Road Traders and the Forum for improvements to the area. The last year has seen cosmetic and greening improvements along the Norwood Road as a result of efforts by some traders and grants for trees and hanging baskets. At present indented parking bays are being provided close to the Croxted Road Junction to permit longer parking hours. Vineall, chair of the Community Council. Half Moon Lane at Junction with Herne Hill. races, Bee hive tour, cafes and stalls. include 'A Crude Awakening', selection of Brixton poets. £30 with a £20 discount if you produce a green electricity bill. NCP Services has taken over as Lambeth Council's parking contractor in a new five year deal that the council regards as marking a further major step towards fairer parking in the borough. Since 2006, the council has ripped up the unfair target-based contract and scrapped the use of clamping cars as a routine enforcement. However, residents still complained about the unfair attitude and behaviour of parking attendants and the new contract is set to address these issues. NCP Services is the market leader in providing on-street parking management services to local authorities and specialises in customer focus training for Civil Enforcement Officers. The company's track record in training staff to ensure high levels of customer service and fairness was one of the key reasons the council chose NCP Services as its new contractor. From Friday 1 August the civil enforcement officers, wearing smart new green uniforms, will be out and about helping to keep Lambeth's streets safe and free of congestion. August will also see the introduction of new, state-of-the art handheld computers for all parking attendants, designed to maximize the accuracy and efficiency of the service. high incidence of muggings in Dulwich Park and surrounding streets as far back as Half Moon Lane between 4 and 8pm please be on your guard. would completely obliterate the short term bays outside 17-27 HML which local traders and residents fought hard to get. 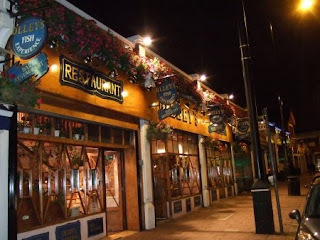 No reference has been made to local traders nor indeed the forum as this conflicts with the regeneration proposals for the area. You may be aware of the ongoing dialogue, over the past four years, regarding Community Engagement and the Safer Lambeth Partnership (the Partnership). Over that period, CPCG has reoriented itself, and constitutionally reformed, to provide a vehicle for that engagement. This issue has again been visited by the Partnership and its Board, and on 29 April was presented by two papers addressing the issue. One, from CPCG (see attached), reviewed the debate over recent years and again posited CPCG as the best placed vehicle for Partnership engagement, drawing on Home Office guidance (to use existing structures) and the Audit Commission's recent report, which specifically recommended that the Safer Lambeth Partnership engage with CPCG, the Safer Neighbourhood Panels and the putative Civic Assemblies. A second paper, from Superintendent Paul Wilson of Lambeth MPS (see attached), recommended that the Partnership set up an Independent Advisory Group, which would be recruited under Nolan principles to reflect the borough's diversity and would meet with the Partnership quarterly. One of these meetings would be in public. The Partnership Board meeting was unable to make a decision on these papers and has agreed a working group  including CPCG Chair Anna Tapsell - to establish an agreed basis for moving forward. We hope you will be able to attend and participate in this very important meeting and would be grateful if you could inform our administrator, Ben McKendrick, of your intention to do so or not. On Friday 6th June the Herne Hill safer neighbourhood police team raided a flat in Park View House, Hurst Street SE24 using a drugs warrant. This followed complaints that drugs were being sold from the flat and offered openly to other innocent residents by the occupiers. Drugs, an illegal Taser "stun gun", stolen property and over £1000 cash were seized. Two people inside were arrested for drugs, firearms and theft offences. Police will apply to a court to retain the cash until the occupier can prove that it was obtained lawfully. The Friends of Brixton Market are holding a meeting on 18th June, at 7pm. The meeting is for everyone who wants to see Brixton Market survive the present and thrive in the future. The current Friends of Brixton Market will be presenting their thinking so far and discuss with others the very serious challenges the market faces. We will also be looking for people who are willing to give ideas or help out in other ways. The Friends of Brixton Market isn't formally constituted yet and this is an opportunity to get involved at the outset and have a major influence on what shape the group takes. You don't have to be from Brixton, but you should care about the survival of its diverse and affordable street market. The meeting will be at 7pm 18th June at the Vida Walsh Centre, 2 Saltoun Road, SW2 1EP, by Windrush square. Please come! The market needs us! And we're making falafels! Pass the word on. If you'd like to find out more but can't make it, please email brixtonmarket@googlemail.com. City Hall, the headquarters of the Greater London Authority, is open to the public on set weekends throughout the year. Visitors have the opportunity to see and walk around some areas that are not normally open to the public during the week. This includes the Chamber, a purpose-built space for meetings and debates; London's Living Room, an open space on the top floor with a walkway around the perimeter offering panoramic views; and the spiral ramp/stairs, which winds its way through the building, offering glimpses of the open-plan offices and the Mayor's Conference Room and views of the Thames and the Tower of London. These dates are subject to alteration at late notice. If you are planning a visit you are advised to call the Public Liaison Unit (020 7983 4100) in advance to confirm that City Hall will be open. The Café on the lower ground floor will be open during the above open hours. Last entry will be at 4.30pm and City Hall will close at 5pm (except London Open House weekend). The ramp may be closed on Sunday lunchtimes for up to 1 hour for BBC filming. It may be necessary to close the external balcony during inclement weather. This map does not show the CITY AIRPORT FLIGHTS which turn over Brockwell Park. Do we care in Herne Hill ? OK, we get some aircraft noise, but now that Concorde is no longer flying the impact is relatively small. So a new runway, north of the two existing runways at Heathrow, will presumably have little impact here. those brown arrows in the bottom right represent the short haul flights arriving from Europe that will be the primary user of this new runway.. They converge right over Herne Hill/Dulwich/Norwood. So we can expect hundreds of flights per day directly overhead. Herne Hill will become as heavily blighted as Richmond now is. Write to your MP, Tessa Jowell and urge her to vote against it. he writes: "If we are going to deal with the energy/climate problem with any success at all, we will have to do it ourselves. And we will need to start by thinking in a completely different way. The market is not the solution; it is part of the problem. The neglected philosophy of anarchism has something to tell us which we need to know." Monday 2 June, 7pm, the Myth Bar, 123 Acre Lane, upstairs from the Hope and Anchor pub. including an important filmed interview with Mark Lynas, author of High Tide and Six Degrees. followed by Q&A with people who were at the camp and explanation about this years camp in early August. Be there - and at the camp! A hugely important force for building the climate movement, for connecting and informing people and for motivating activism at all levels. Friday 13 June, 10-5 Lambeth Town Hall and Brixton Central Square. Lambeth Climate Change Conference and Fair. TTB will have a presence throughout the day. Please volunteer to be there for a slot. Exploring why localisation is inevitable and how we can do it in London and Brixton. Keynote speakers David Boyle (author of the Little Money Book) and Molly Scott Cato (reader in Green Economics at Cardiff School of Management and author of Market Shmarket). New Economics Foundation will be conducting some of their workshops. Permaculture is the foundation of Transition thinking, working with Nature to supply our needs whilst enhancing the environment. It has been described as 'Revolution disguised as organic gardening.' It is much more than gardening, being a design philosophy applicable in all spheres of life that will help us meet the challenges of energy descent. It will be a revelation. The cost is £120 for the whole weekend, 10-5pm both days. Concessions are available. Please email info@transitiontownbrixton.org with Permaculture in the subject box. RAILTON ROAD, OUTISDE WISH GIFT SHOP. PIDGEON-Caroline has been newly elected under the list system as an Assembly Member.Answers will follow from the Mayor in a week or so in written format. The bus priority scheme at Herne Hill Junction will not provide priority for 68 468 X68 and N68 bus routes and because it does not take suppressed demand into account,it is very likely that any initial bus priority provided by the slip road through Brockwell Park will be lost as the slip road fills with cars. Why is bus priority funding being considered for this scheme. Will you instruct TFL Network Assurance not to consider the bus priority scheme for Herne Hill junction unless an allowance for modal shift from car use to cycling has been included in the computer traffic model required for the scheme and to insist that the potential for modal shift is fully explored by Lambeth Council. Mayors questions 21st May08 Caroline Pidgeon. As the proud owner of Adult Concession Season Ticket 2005910, I had the great good fortune to be in our beautiful Lido on the opening day of the new season. I had the pool to myself for most of the time, and the water temperature was just fine. As there are now three swimming lanes installed, one cannot do widths very easily, so I set out to do, and completed, 10 lengths. There were no Mallards to join me this time, but I was told that they do visit often, and chase off any other Mallards who dare to drop in. I have to visit the Lido 30 times to get my money's worth, which I shall certainly endeavour to do, but as I said last time, today's swim alone was worth £105 of anybody's money. I look forward to meeting you in the Lido one day soon. It is likely that they are open on Thursday but check for posters. Brockwell Lido pool is due to open for the season on Wednesday 21st May 2008. The recent work on the pool plant is complete and the pool has been fully drained and the tank jetwashed. The pool is now being filled with fresh new water ready for the opening at 6.30am on Wednesday, 21 May. Look forward to seeing you there. See leaflet with 2008 season prices. See Holistic timetable for other activities. On Thursday 15th May at 4 pm police officers led by the Herne Hill safer neighbourhood team raided the "Next-to-Nothing" cafe at 107 Dulwich Road SE24 under a search warrant. A dog trained to search for drugs was deployed and a substantial amount of herbal cannabis was found. Two arrests were made for drugs supply offences. A crop circle has appeared near 'Wood Henge', roughly where Zippo's big tent was. The Lido filling is proceeding slowly; water is now about a metre from the shallow end. Following on from previous blogs and soap-box items on this subject it is essential that everyone continues to watch for any sign of threats to the Post Offices in our area. The Government has now announced a further 155 closures of London Post Offices, with a further 7 reprieved and 7 still being consulted on, which is very disturbing to so many communites. Dulwich and Herne Hill Offices are not mentioned and will remain open, although one in Acre Lane and one in Peckham Road sadly find themselves on the list. View related forum thread  Send this article to a friend  Got a story for us? Labour's Val Shawcross has won a third term as Lambeth and Southwark's representative on the London Assembly with a hugely increased majority over the Liberal Democrats. Val Shawcross was first elected to the London Assembly in 2000. 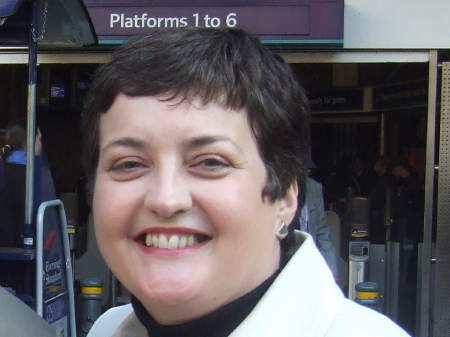 Although Caroline Pidgeon came a close second in 2004, the 2008 result will be a bitter disappointment to local Liberal Democrats who hoped to seize their first ever constituency seat on the London Assembly. The blow will be softened by the news that Newington councillor Caroline Pidgeon has secured an Assembly seat via the London-wide list vote. Full results on the London Elects website. Turnout in the two boroughs stood at 42 per cent  up 8.7 per cent on 2004. The results of the mayoral contest in the Lambeth & Southwark constituency also delivered a clear advantage to Labour's Ken Livingstone, although this was outweighed by the stronger support for Boris Johnson in outer London constituencies. With the British National Party having won its first ever seat on the London Assembly, City Hall is likely to be the setting of some heated political exchanges over the next four years. as our Assembly Member. We have an additional benefit of a List Candidate Caroline Pidgeon who has been a member of the Souhwark Administration for the last six years. Both the mayoral candidates polled over 1 million votes each.